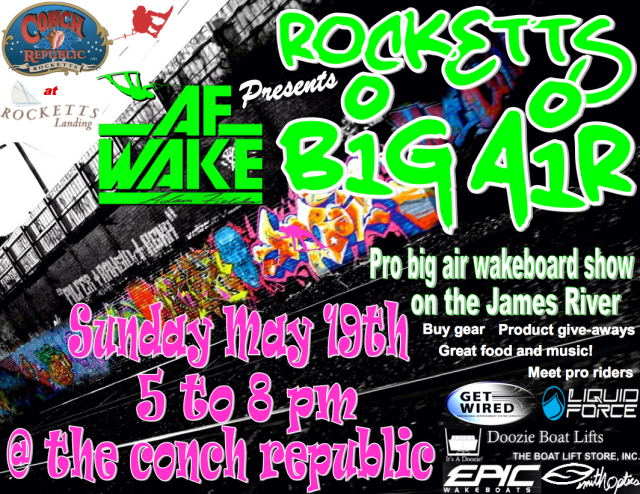 Rockett’s Big Air is a summer kickoff party for wakeboarding in the Mid-Atlantic, and the first stop of the AF Wake Series. The event takes place on the James River in downtown Richmond, Virginia. Come watch the region’s top pros and up and coming riders throw down sick tricks and high flying aerials for a shot at cash money for best trick and biggest air awards! 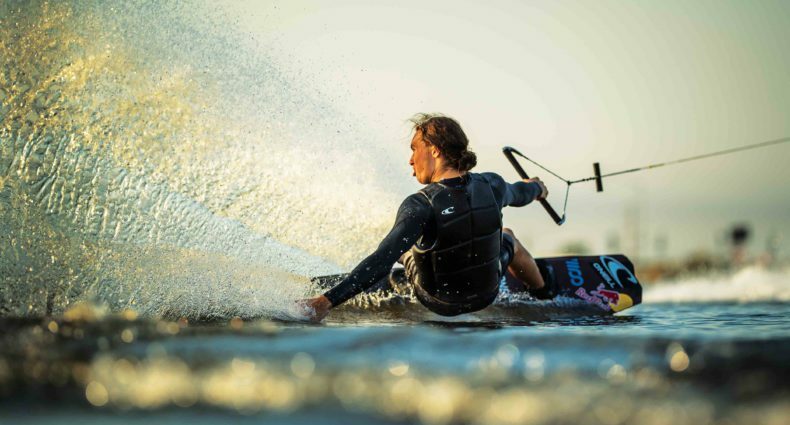 Meet the Wakeboard Pros and Check out the latest gear from 4:00-5:00pm. The ON-WATER action starts at 5:00 and can best be seen right out in front of the Conch Republic restaurant at Rockett’s Landing. Dinner, drinks and great tunes throughout, with an awards presentation following the event. For more information, or to get involved as an event sponsor, contact adamfields@afwake.com.